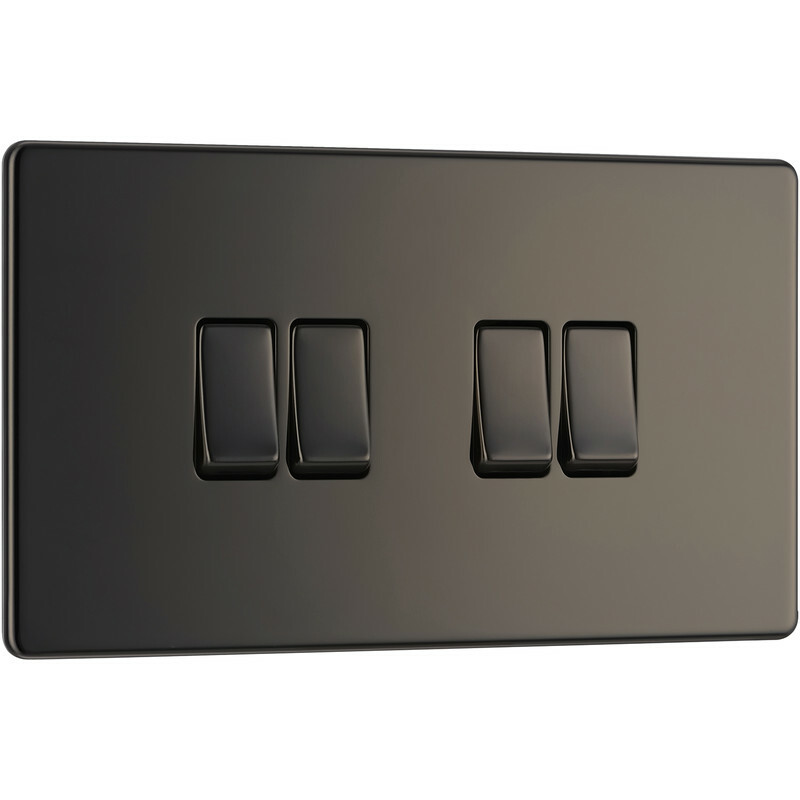 BG Screwless Flat Plate Black Nickel 10AX Light Switch 4 Gang 2 Way is rated 5.0 out of 5 by 4. Rated 5 out of 5 by Beechyboy from Excellent value Bought these in preference to the Crabtree version. Half the price and great quality. Rated 5 out of 5 by Allan109 from very goog for the money i purchast this item to replace an exciting one and found the cover cliped onto the back plat far better than the one I was replasing. Rated 5 out of 5 by Slugger from Stylish Switch Bought these to replace white plastic switches in the kitchen a doddle to fit and they look nice , they have a very positive click when used . All in all very satisfied with purchase from Toolstation .